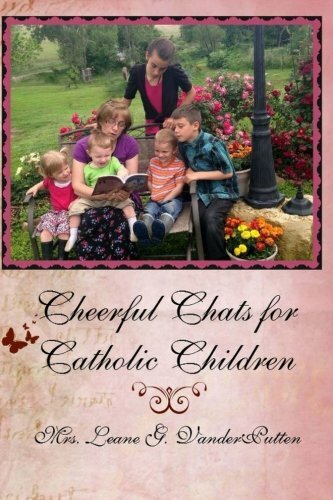 My Book – Cheerful Chats for Catholic Children! As my kids were growing up, and life became hectic, I had to really struggle to get in some good, positive`time with them that would be sweet and potent at the same time. I was so tired at night, I just wanted to get them to bed and fall into bed exhausted myself….and that is what I did many times. But it always tugged at me to spend a little time with them before bed, send them off to dreamland with a positive moment with Mom while at the same time planting some sweet thoughts about Jesus, Mary, the Saints and Holy Mother Church. Along the way, I ran across a Protestant book that had short stories for the children, stories about virtues and faith, with questions and a prayer following. I felt like I had found something special….and I used it for many years. I would change some of the wording, making the story more Catholic, or I would leave out the stories that weren’t as generic and didn’t conform to a true Catholic way of looking at things. I often yearned for a book like this that would be Catholic……. 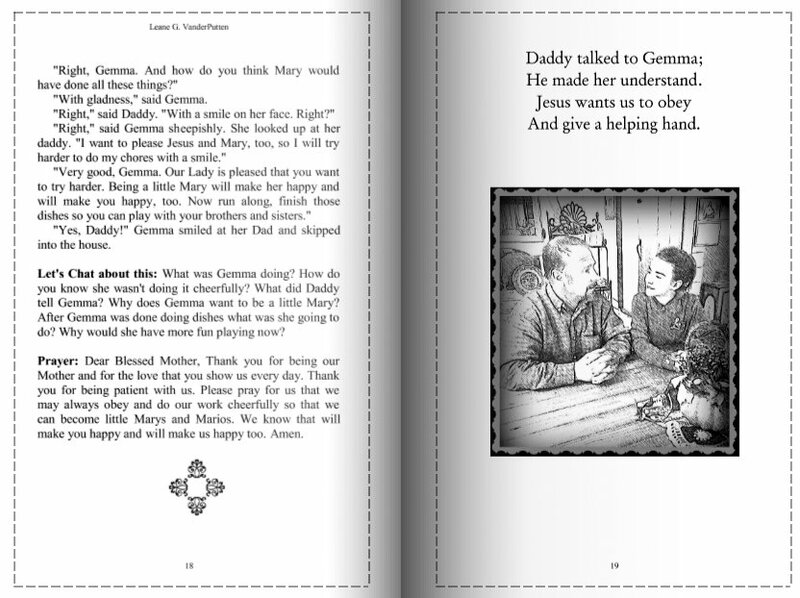 “This is a unique book of Catholic devotions for young children. There is nothing routine and formal about these stories. They are interesting, full of warmth and dipped right out of life. 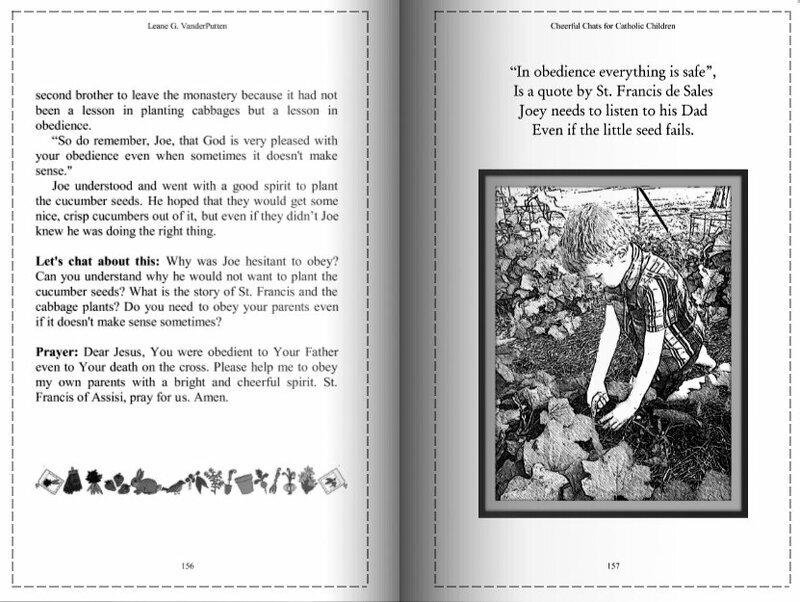 These anecdotes will help children know about God, as each one unfolds a truth about the saints, the Church, the virtues, etc. These are short faith-filled stories, with a few questions and a prayer following each one, enabling the moral of each story to sink into the minds of your little ones. The stories are only a page long so tired mothers, who still want to give that “tucking in” time a special touch, or pause a brief moment during their busy day to gather her children around her, can feel good about bringing the realities of our faith to the minds of her children in a childlike, (though not childish), way. There is a small poem and a picture at the end of each story. Your children will be straining their necks to see the sweet pictures! You can purchase the book here at Amazon. Here is the kindle edition. Or you can purchase it here at my Meadows of Grace shop. I think you end up saving 2 or 3 dollars on shipping, etc. (unless you have Prime Amazon). Our children are not born with infused knowledge about God and our Faith. It is up to us, as parents, no matter how tired we are! Let’s use the helps He gives us!! Oh….one more thing! 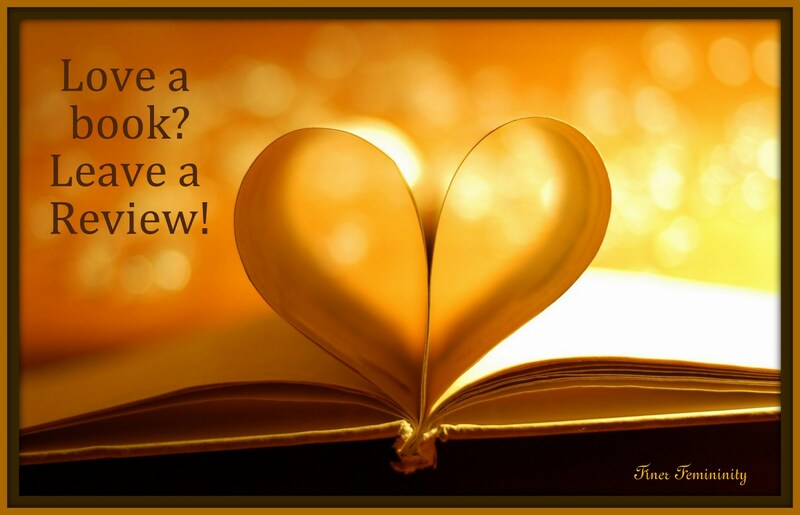 If you like the book, would you be so kind as to leave a review….either on Amazon or my Meadows of Grace Shop or, if you are feeling extremely benevolent.…maybe even BOTH!!?? 🙂 Thank you kindly! Very very nice looking! 🙂 Is there one for everyday of the year? Or how many stories are there? How often would you go through the book in a year? About what age range? Thank you, Mary….and great questions! 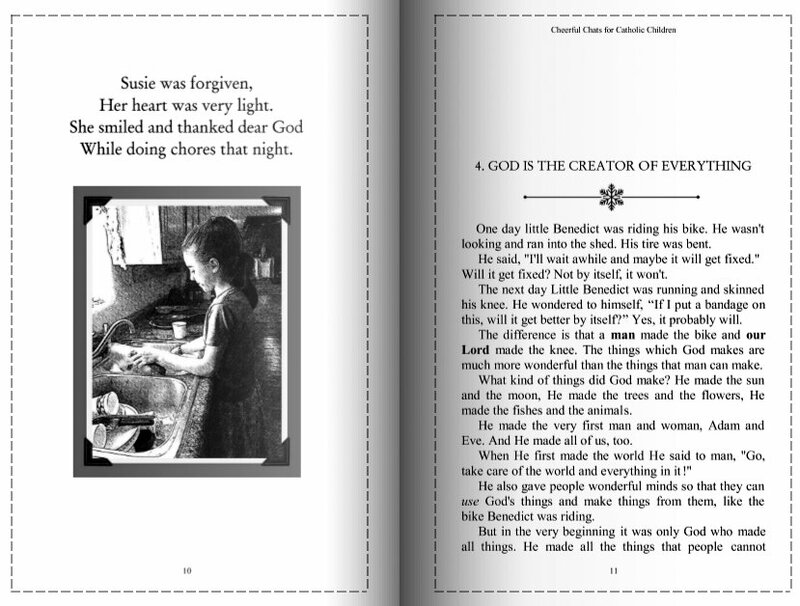 There are 57 stories, with questions, a prayer, a poem and a picture with each story. I would say the age range could be from 3 yrs. to 10 years old. It would depend on how dedicated Mom is in reading the stories as to how many times you could repeat the book a year.